Jennifer M. Gunn was appointed to the position of Piccolo with the Chicago Symphony Orchestra by Maestro Daniel Barenboim in 2005. Since joining the CSO, Jennifer has been active in the orchestra’s contemporary music series MusicNow, youth programs, and has been a coach for the Civic Orchestra of Chicago. In addition to playing in the CSO, she has been a regular guest artist with Dempster Street Pro Musica, Chicago Chamber Musicians, and the Music of the Baroque Orchestra. Prior to joining the CSO, Jennifer has been a member of the Louisville Orchestra, the Fort Wayne Philharmonic, and the Wheeling Symphony Orchestra. She has also performed with various other orchestras including the New York Philharmonic, the Cincinnati Symphony Orchestra and the Pittsburgh Symphony Orchestra. Ms. Gunn made her debut as soloist with the Chicago Symphony Orchestra in May of 2008 playing Vivaldi’s Concerto in C Major RV 443. She has also been a featured soloist on the MusicNow series playing Shirish Korde’s Nesting Cranes and has recently shared the CSO stage with her colleagues for Bach’s Brandenburg Concerto’s No. 2, No. 4, and No. 5. Jennifer is a native of Pennsylvania and holds a Bachelor of Music Degree from the Mary Pappert School of Music at Duquesne University where she studied with Robert Langevin and Rhian Kenny. Her other teachers have included George Pope and Mary Kay Robinson and Mary Hannigan. Pamela Stahel spent her youth in the USA. Growing up in a musical family, she began the violin at the age of five. Later after discovering the flute, she went on to earn a BM in music performance with Bernard Z.Goldberg, Soloflutist of the Pittsburgh Symphony Orchestra. Studies with William Hebert, Julius Baker as well as masterclasses with Marcel Moyse furthered her education. Her first orchestral experience included engagements with various American orchestras such as the Pittsburgh Symphony Orchestra, Canton & Akron Symphonies & Fort Wayne Philharmonic. After relocating in Switzerland, Ms.Stahel intensified her studies with Andre Jaunet while becoming an active freelancer. Invitations to guest with ensembles such as the Tonhalle Orchestra, Zurich Chamber Orchestra, and Lucerne Symphony Orchestra followed. Her engagement with the Philharmonia Zurich; Zurich Opera Orchestra, began in 1991. Currently she works with conductors such as Fabio Luisi, Zubin Metha, Bernard Haitink, Franz Welser-Most & Christoph von Dohnanyi. A passionate chamber musician, she performs regularly with the Labyrinth Ensemble, trio bleu, chamber soloists lucerne, the yofin ensemble & opera nova which involves premieres of contemporary works and crossover projects. Ms.Stahel is devoted to furthering young musicians and has taught previously at the Music Conservatory of Lucerne and presently conducts a piccolo and chamber music class at the Zurich University of the Arts. She has also been invited to perform at the NFA Flute Convention in the USA as well as various festivals such as the Rheinau Summer Academy in Switzerland, The International Piccolo Festival in Grado, Italy and the Porto Flute Festival. Christine Erlander Beard. 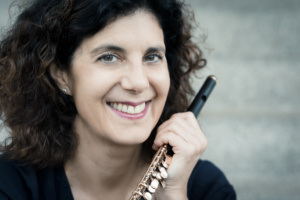 Described by Flute Focus as “…having shattered any notions that the piccolo might be lacking in deep, expressive powers,” flutist Christine Erlander Beard enjoys an international career as a soloist, chamber artist and teacher. A passionate performer noted for her “warm lyricism” (BFS journal, Pan) and “great expressive tone and range” (Christopher Caliendo, composer), she has performed extensively and enjoys frequent engagements across North America, South America and Europe. She can be heard alongside the French piccolo legend Jean-Louis Beaumadier on his CD, Postcards: World Piccolo, Vol. 2, and with Newberry’s Victorian Cornet Band on their inaugural CD, Victorian Era Music for Brass Band by Thomas Coates. Beard was a guest concerto soloist with both the Orquestra Filarmonica de Mendoza in Argentina and with the Orquestra Sinfonica de Porto Alegre in Brazil during the 2016-2017 season. 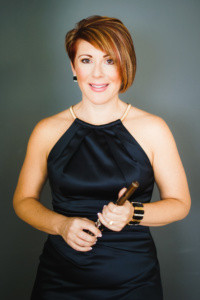 In 2018, Christie will make guest artist appearances at the Zodiac Festival in France, the Festival Internacional de Flautistas en el Centrol del Mundo in Ecuador, the Festival Internacional de Flautas y Percusión in Honduras, and the World Flutes Festival in Argentina, and will make her 15th appearance at the National Flute Association convention in multiple solo and chamber music performances. Her debut solo CD, “To the Nth Degree” featuring 21st-century music for piccolo by Matt Smith, David Loeb, Herman Beeftink, Derek Charke, Dana Wilson and Christopher Caliendo will be released in 2018. Passionate about collaborating with composers, Christine has commissioned and/or premiered dozens of new works from composers across the globe, most recently giving the NFA premiers of 3 new works for piccolo by American composers Herman Beeftink, Dana Wilson and Jay Vosk. 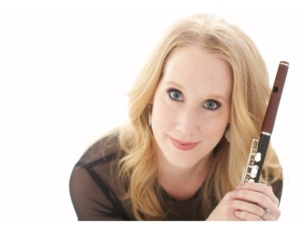 A member of the Flute New Music Consortium, she was part of the consortium that commissioned Amanda Harberg’s flute sonata, “Court Dances” (2017), and is also in the consortium currently commissioning Jim Stephenson for a new piccolo sonata. In 2018, she will premiere a new piccolo duo with Leonardo Winter by Brazilian composer Daniel Wolff at the NFA Convention in Orlando, FL. Matjaž Debeljak is a piccoloist in the orchestra of the SNT Opera and Ballet in Ljubljana. 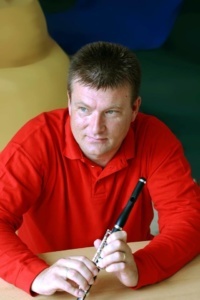 He graduated in 1994 from the Academy of Music in Ljubljana by Prof. Fedja Rupel. In 2010 he post graduated with the same professor. He has appeared as a piccolo soloist at international flute festivals and concerts (in Zagorje 1996, 2004, 2006, in Belgrade 2004, 2009, 2011, BFS Manchester 2008, 2012, Flutewise in London 2009, NFA 2011, EPF 2011, Iowa 2012, Riez 2012, Niš 2013, Costa Rica 2013). In July 2009 Sir James Galway invited him to play piccolo recital in Weggis. He is leading masterclasses for piccolo. He recorded two CD’s. He also records for Radio Slovenia. Slovene composers have written twenty compositions for piccolo and dedicated them to him.